Now you can play one of The Beatles' greatest hits of all time! 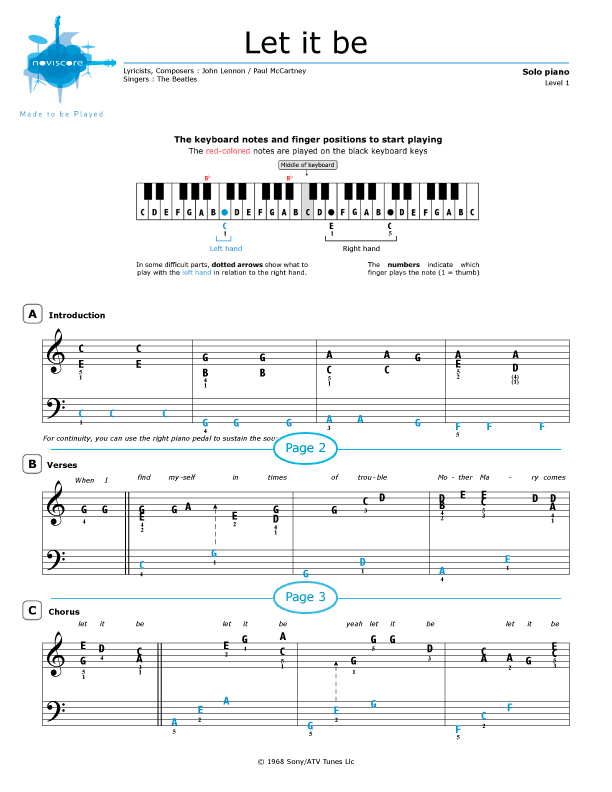 Our Let It Be piano sheet music is available in three different adapatations for piano solo, with or without reading aid. 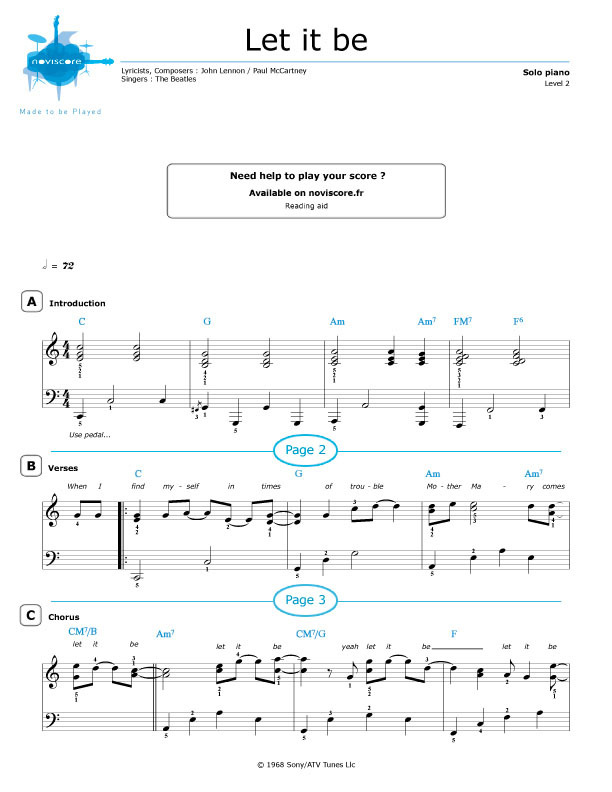 Whatever your level, you are bound to find the right sheet music for your piano skills. 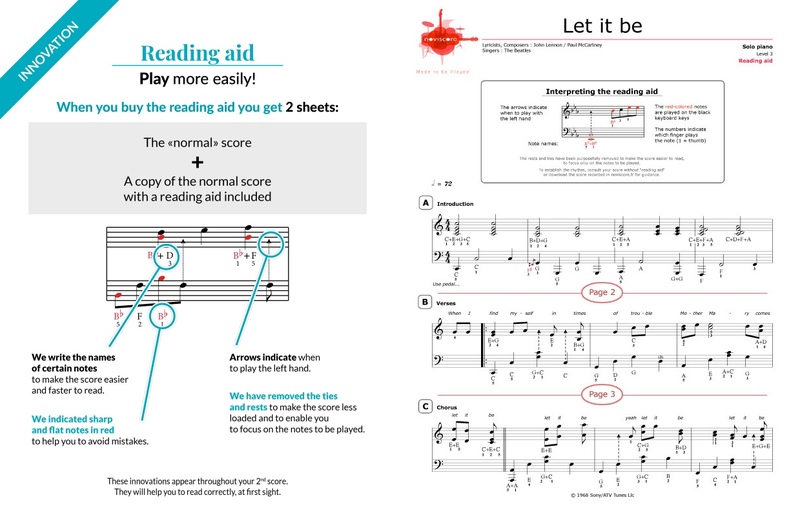 If you have trouble deciphering music, then try our Let It Be easy piano music sheets Level 1 where the symbols are replaced by the note names. 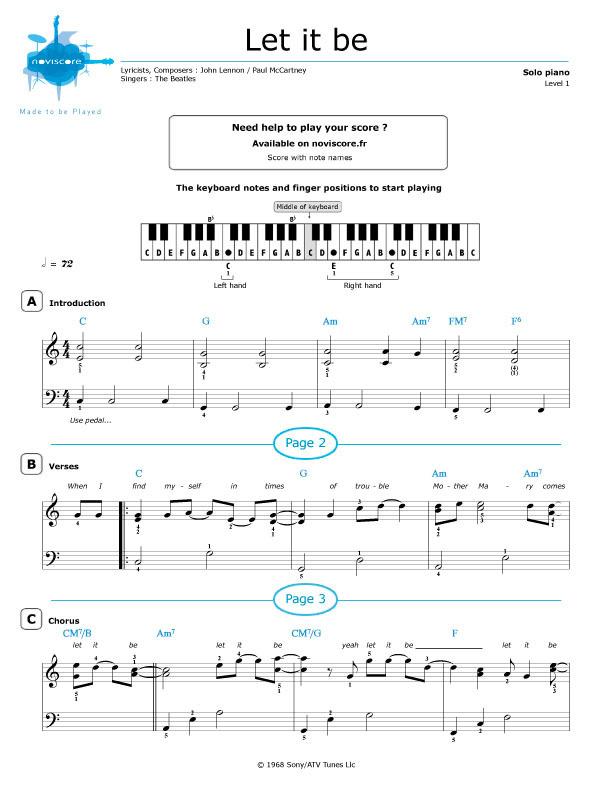 Or if you prefer to sing along or accompany another instrument, then our piano accompaniment version Level 2 is what you are looking for. 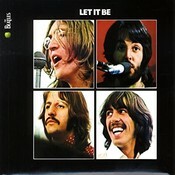 Let It Be was released as a single in March 1970 and is the title track on The Beatles' 12th and final studio album of the same name. 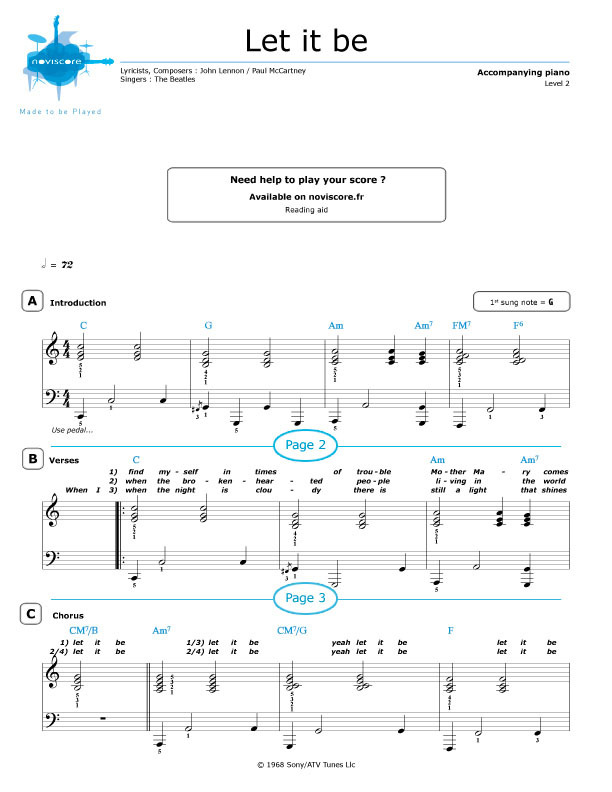 Written and sung by Paul McCartney, it is surely one of the finest and most popular ballads performed by The Beatles and one of THE greatest songs ever.